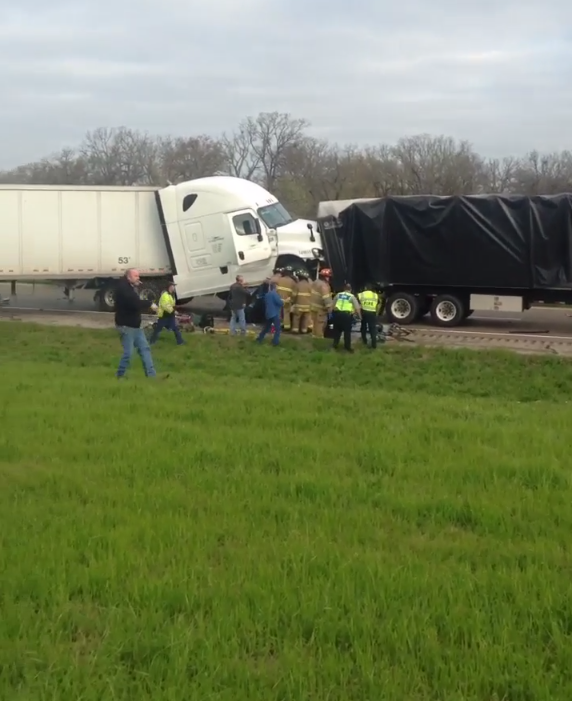 Near Mount Pleasant on IH-30, authorities released the identities of five people who died on Friday (March 23) when a tractor-trailer rig plowed into a minivan stopped on the interstate in East Texas while an unrelated earlier wreck was being cleared. The driver of a 2018 International semi-truck, one of five vehicles involved in Friday’s crash, has been identified as Wanda Gebhart, 64, from Pikeville, Tennessee. Gebhart was pronounced dead at the scene. Jessica Brokish, 41, and her two sons (ages 9 and 6) and two-year-old daughter, traveling in a 2011 Toyota Sienna were also killed in the accident. The driver of the Toyota, 42-year-old Jeffery Brokish, was transported by air ambulance to a trauma center in Tyler. The third vehicle struck in the wreck was a 2016 Freightliner semi-truck driven by Carlos Vela Martinez with a passenger, Juan Martinez. Both men were transported with minor injuries to Titus Regional Center. Two other vehicles involved, both Volvo semi-trucks, were struck causing minor injuries to drivers. Authorities are investigating why the rig hit the minivan during dry road conditions, forcing the smaller vehicle into a stopped truck in front of it. The initial wreck happened an hour before the five-fatality crash when a U-haul overturned and blocked traffic on the interstate in the eastbound lanes. This type of catastrophic accident is unfortunately not uncommon. Countless semi-trucks and 18-wheelers pass through North Texas each day transporting goods throughout the state, and sometimes the actions of reckless drivers can lead to tragedy. Attorneys at Parker Law Firm hold negligent drivers accountable. If you or a loved one is suffering from an injury sustained in a trucking accident, we can help. Attorney Brad Parker has written a book on Commercial Vehicle Collisions in Texas to help answer common legal questions that people have about their legal rights. To learn more, get your FREE copy of “Commercial Vehicle Collisions In Texas, Things You Should Know & Questions You Should Ask After Being Involved In A Trucking Accident”.